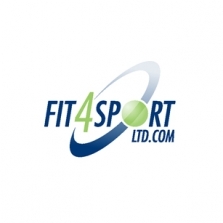 Fit4Sport is your number one choice for sports therapy, physiotherapy, sports first aid and exercise fitness products. Stock up your treatment room supplies with great bulk purchases on tapes and strapping, massage lotions, hot and cold packs, felts and foams and much more. For pitch or courtside emergencies keep the Fit4Sport First Aid Kits and Emergency Aids close at hand. And stay fit with Fit4Sport fitness and conditioning products for individual and team use.